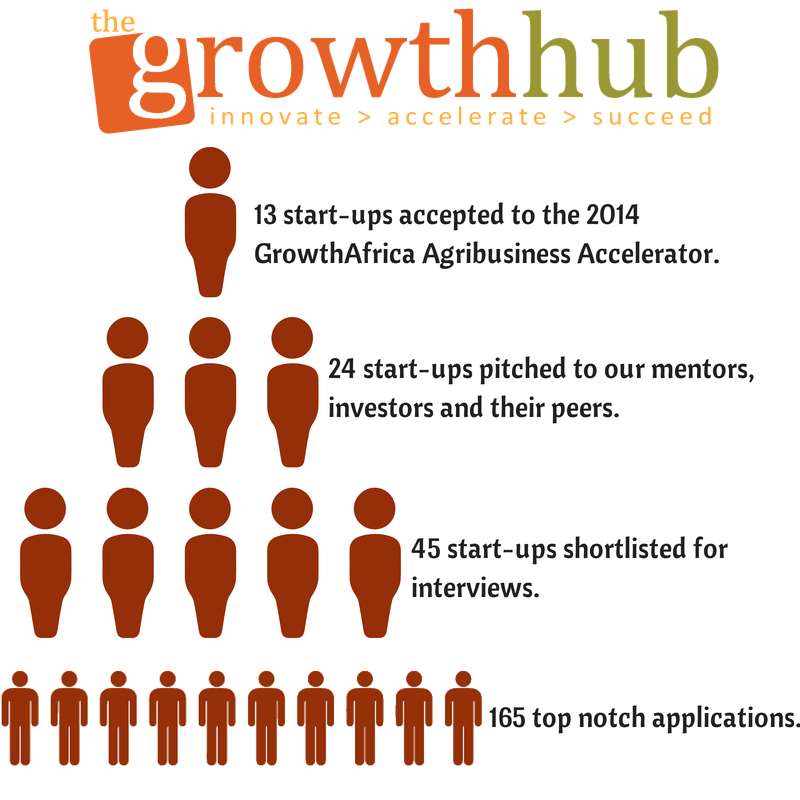 After such a successful GrowthAfrica Agribusiness incubator in quarter one of 2014, we are thrilled to announce that 13 confirmed start-ups joined our agribusiness accelerator which kicked off on July 4th 2014 till October. Agriculture is the backbone of Kenya’s economy and provides livelihood, employment and generates income for over 75 % of the Kenyan population. The sector is among the key drivers envisaged to deliver the 10% annual economic growth stipulated in the Economic Pillar of Vision 2030. Currently, agriculture directly represents 26 percent of the gross domestic product (GDP) and another 25 percent indirectly through its linkages with manufacturing, distribution and service industries in Kenya. However the growth of the agriculture sector is slowed down by huge challenges faced by small holder farmers, large businesses and key actors in the agriculture value chain that require sustainable solutions through scalable for profit enterprises. The 13 start-up teams will get the chance to work with a carefully selected group of experienced facilitators, successful mentors and access to investors from all around the world for a chance to raise funds for investments, network with peers and key industry players. Apart from the 16 in house workshops at our hub on different aspects of the business, we will also host experienced professionals to share their expertise on topical issues to help the entrepreneurs grow their enterprises and scale to the next level.